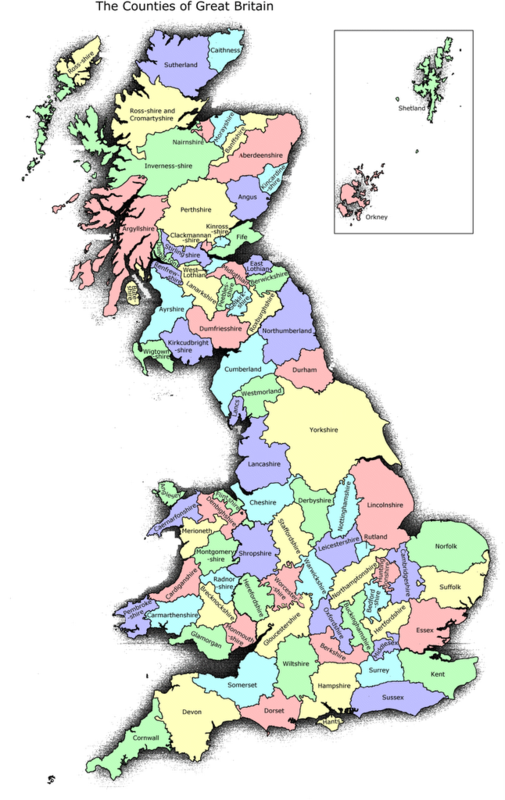 We used to have 86 counties in England, Scotland and Wales, with beautiful names like Westmorland and Rutland. Boundaries have been changed, names removed from our lives, by faceless officials in Whitehall. Yorkshire once included the town of Middlesborough, and the beautiful corners of the North York Moors. All that now comes under the name Cleveland, which has probably encompasses bits of County Durham, and Yorkshire. The highest point in Lancashire was once the Old Man of Coniston - this fine mountain in the Lake District is now in Cumbria, which also includes Westmorland, Cumberland and part of Lancashire. We still have Cumberland sausage, the Cumberland square eight folk dance, but alas, no Cumberland. The Ridings of Yorkshire, of which there were three, the word denoting a third portion of the county, have been lost. Instead, we have the more mundane North, West and South Yorkshire. The word has been lost to future generations of Yorshiremen and women. The face of our country was changed by these faceless bureaucrats and we want it back. They could start by explaining why there was a need to lose names that people loved and identified themselves by. Someone coming from the industrial town of Barrow in Furness is now designated a Cumbrian, when he is really a Lancashire man, a Lancastrian. The town has far more in common with the industrial heritage of towns further south than with the fells, lakes, and mountains of Cumberland or Westmorland. Someone from Rutland County could boast he came from the smallest county in England. Now, it doesn't even exist. Shame upon those people who made our country into something it has never been - flat and uninteresting!